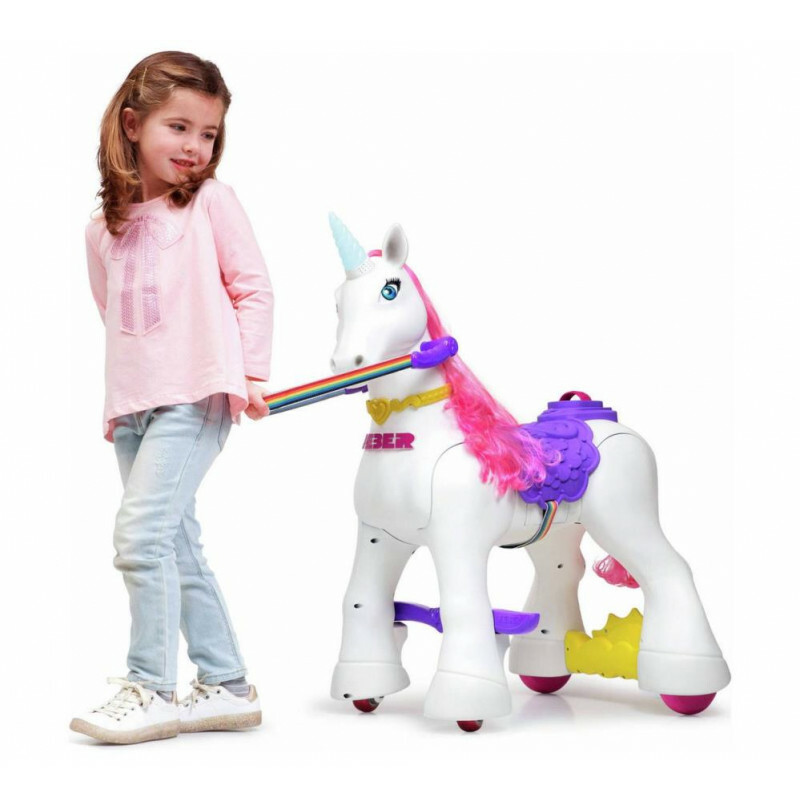 Easy to transport- just pull the reins and My Lovely Unicorn will follow. Please note that this item is sold without any of the accessories. 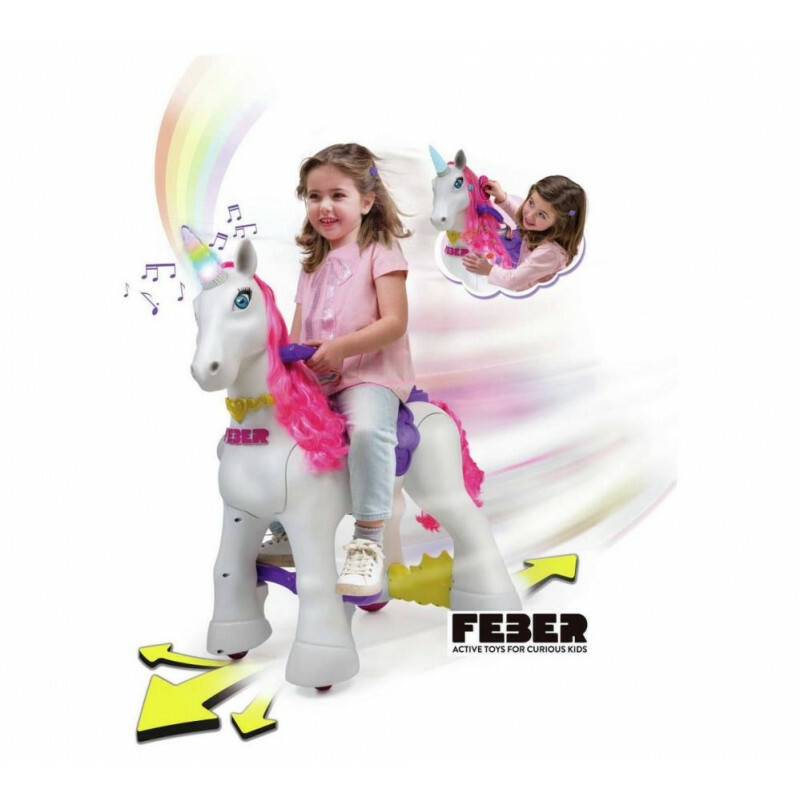 My Lovely Unicorn is an original ride-on toy designed by Feber as an upgrade to the standard rocking horse. 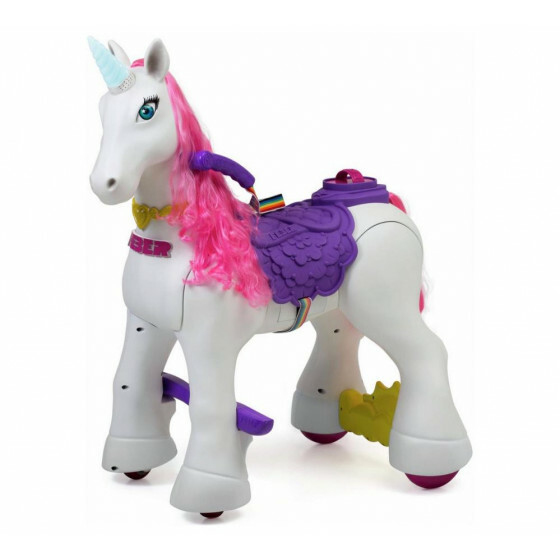 Capable of more than just moving back-and-forth, My Lovely Unicorn can move forwards, backwards, left and right with a simple twist of her purple reins. 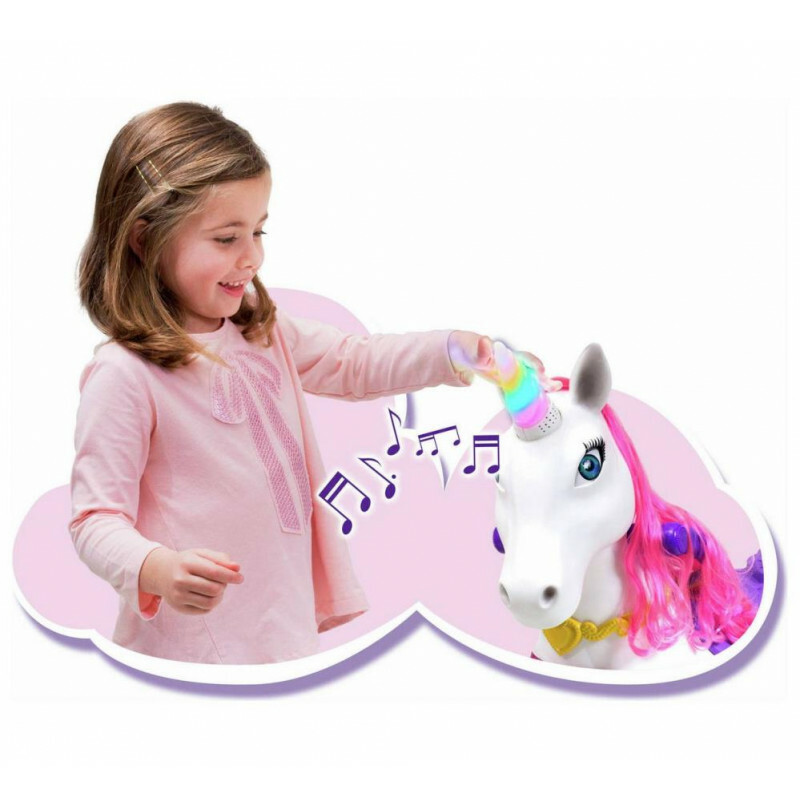 Capable of speeds of up to 1.86mph, your child will love motoring around on her back, brushing her pink mane and activating her magical lights-and-sounds rainbow horn with a simple tap of the hand. Battery life: one charge lasts up to 50 minutes. Includes charger & 12V battery. Batteries required: 3 x button cell (not included) plus 1 x 12V (included).